A year after releasing their first single, Gresham’s Girls have recorded a cover version of the Depeche Mode song, Enjoy the Silence, to help raise money for school charities. In 2016, a group of school friends at Gresham’s School, Holt, recorded their first single, a soulful version of Sit Down by James’ raising £1,000 for the charity YoungMinds. Following the success of this release, the group decided to record another single for Christmas 2017. This year Gresham’s Girls are Maria Butcher, Clementine Chapple, Iris Croft, Ella Fairbairn-Day, Amelia Fox, Rachel Heath, Sophy Kenyon, Jemima Porter, Molly Sankey and Romy Sipek. 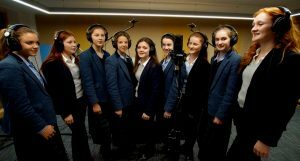 Using the school’s state-of-the-art recording studio in the Britten Building, the girls recorded and produced the single with the help of music teachers Chris Cooper and Justin Myers. The single is now available as a download from Bandcamp and iTunes and all proceeds will go to this year’s school charities, the Opalagilagi School, Kenya and I Afrika Boy’s Home in Nairobi. 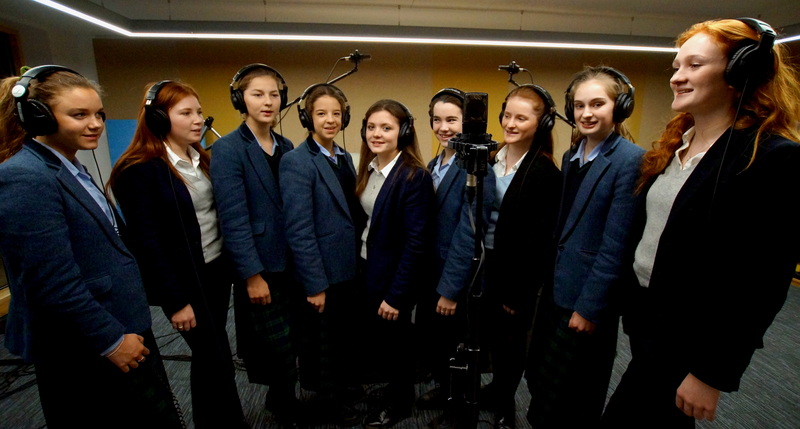 Gresham’s Girls recording the song in the recording studio at Gresham’s School. This entry was posted in Holt, Home Page and tagged Charity, Depeche Mode, Greasham's, school, song on December 14, 2017 by Gay Webster.